Health – Alkaline & Bionized Water – footsteps…….. Note: This post is NOT compiled by me but from an email that was sent to me by a friend. If the rightful owner of this posting feels that I ride on his/her article I am willingly to pull down this posting. Please send me an email requesting so. Alkaline water has several health benefits. It acts as a powerful anti-oxidant, detoxifies your body, increases your energy, slows down aging, counteracts unhealthy effects of eating acidic foods, and even prevents serious diseases like cancers. Many websites and few companies have been promoting the drinking of Alkaline, Ionized Water for various health benefits ranging from energy boosting, anti-oxidant potential, anti-acidic and regenerative effects that even prevent serious diseases like Cancers. However, these claims are not backed up by enough scientific evidence. Alkaline water is ionized water with a pH of more than 7. Depending on the conditions, the natural water available to us ranges in pH from 6.5 to 9.0. Like any other, a pH of 7 is considered Neutral, while less than it is Acidic. Alkaline water is made by electrolyzing normal water in an Ionizer machine, and is supposed to be beneficial to human health. Most (limited) studies say that alkaline ionized water has protective and regenerative features, which is attributed to its negative ORP (oxidation reduction potential) indexes that are close to aquatic environment potential of the human body. ORP is a measure of the tendency of a chemical species to acquire electrons and thereby be reduced. According to these studies, the human body’s internal environment must be alkaline, and for this the body should have a negative ORP (-100mV). Because of its negative ORP, alkaline water supposedly turns into electrolyte that quickly interacts with body’s fluids, creating conditions to facilitate regeneration of injured cells and also protect healthy cells from oxidizers. However, there is no enough research to verify these claims. It is a fact that credible studies have proposed this conceptual kind of “Vital Water” having a reductive characteristic in terms of ORP and a pH value ranging from weak acidity to weak alkalinity is analogous to human body fluid. However, various other conditions apply here. It is also a fact that our bodies have become more acidic because of lot of processed-foods we eat. But scientific research about the benefits of alkalinity is NOT conclusive. The acronym “pH”, which is a short form for “potential of hydrogen” is a measure of free hydrogen ions a liquid has. The higher the pH, the fewer free hydrogen ions it has, and vice versa. (which signifies pH 7 as the balanced figure in normal conditions – neither acidic nor alkaline). Research has shown that use of alkaline water in plants and animals can have deadly effects, while there are not many studies done on humans. Studies have suggested that pH has a major influence on human cell mitochondria, and so the normal cells die in extremely alkaline environment. A study published in the Journal of Biological Chemistry found that rising cellular pH can lead to a condition called alkalosis and induce cell death – because it alters the mitochondrial function. A study out of Cornell University suggests that antioxidants are not proven to be effective against many neurodegenerative diseases, and they state that the key factor here is the function of mitochondria within the cell in certain pH conditions. Few studies have also suggested that cancers and tumors make themselves acidic, and occur even in alkaline cellular structure. Also, other studies have shown that when alkaline treatments do not work, strongly acidic treatments do. An example of this is a 2005 study by the National Cancer Institute, which talked about the use of Vitamin C (ascorbic acid) to treat cancer. In pharmacologic doses administered intravenously, it was found that ascorbic acid successfully killed cancer cells without harming the normal cells. All these findings suggest that the links between alkalinity (also the usage of alkaline water) and cancer has been oversimplified, jumping to premature conclusions. So drinking alkaline water is no magic solution to preventing or treating cancer. However, many websites and companies sell their water ionizers with these false claims that are not even approved. For human body to function well, it can be neither too acidic nor too basic. Moreover, we do not just have one pH level. Our stomach should have an acidic pH ranging from 1.35 – 3.5 because it is meant to aid in digestion. And then our blood must always be slightly alkaline, with a pH of 7.35 to 7.45. So it is all about the right balance. If you keep drinking alkaline water all the time, you are sure to raise the alkalinity of your stomach, which can impair its normal ability of digesting food, and this can lead to nutritional disequilibrium. 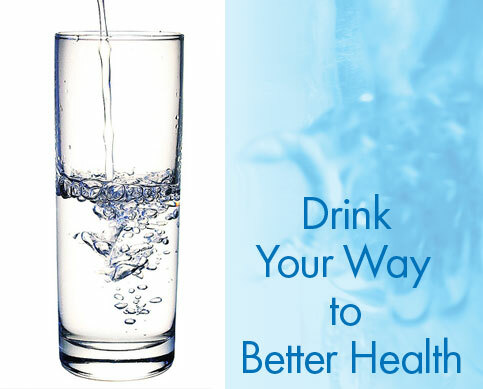 It is best to use natural water which is clean and purified, the optimal pH being between 6.5 and 7.5.We believe that alkaline water, used as a medicine for short period of time may be useful to a certain extent – in people with acidity related problems. But for this, we advise people to take professional medical guidance. People should be careful with those sellers of water Ionizer products who only try to profit from your fear. Also note that in most cases, the Water Ionizers are NOT filters that purify your water. To optimize your body’s pH, follow a diet rich in raw, organic, whole foods. And if you have acidity problems, it is good to include alkaline vegetables and fruits in your diet, a list of which can be read from the reference section below.